In Florida, an assault crime can be a misdemeanor or a felony. Some assault crimes carry severe penalties and mandatory minimum prison sentences. At Justice Law Firm, our attorneys are former felony prosecutors who know exactly how to defend your case. Our attorneys know every defense and loophole available to you if you are charged with the crime of assault. An assault can be a misdemeanor or felony. Misdemeanor assault crimes are rare and can be easily defended. Felony assault crimes are more difficult. If you are charged with Aggravated Assault With A Deadly Weapon, for instance, you are facing a minimum of 3 years in prison. This is the minimum – even if you have no prior criminal history. 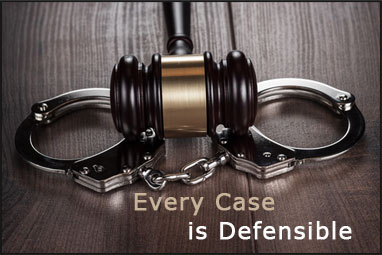 We have more than 25 years of combined experience as both prosecutors and defense attorneys. We have a history of success in representing those charged with assault crimes. The most common defense to an assault crime is self-defense. Other than that, the best way to defend an assault case is to attack the credibility of the victim. Our attorneys are seasoned and skilled at developing cross-examination by using depositions. Our main goal is to get the prosecutor to waive the minimum mandatory prison sentence.